Awesome resale in Timnath ranch, better than new construction!-Fully fenced & landscaped yard, extended patio & blinds ttoo! 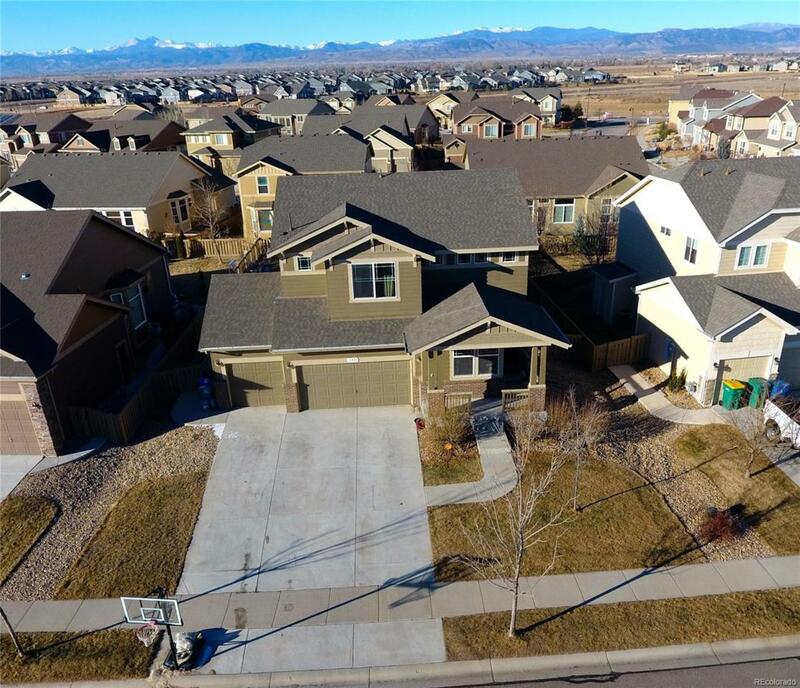 Open layout, hardwood flooring, formal dining room, open concept kitchen, lots of beautiful espresso cabinets, upgraded stainless appliances, slate counter tops, gas cooktop, double oven, cozy family room with a fireplace and lots of windows to back yard. Upstairs features 3 bedrooms & huge Loft or 2nd family room, lots of light & views of the mountains. Laundry is conveniently located upstairs as well. Good sized master bedroom with tray ceilings, master bath with soaking tub & walk in closet. Oversized 3 car garage, short distance to the sought after Bethke Elementary School. Huge unfinished basement with lots of windows and high ceilings. HOA says pool is slated for spring/summer 2019 (buyer to verify).